Based on GM-free ingredients, this Earth Friendly Floor Cleaner is a lemon-oil based cleaner which combines effective natural cleaning power with a fresh, lemony fragrance you'll love. Suitable for use on wood and laminate floors as well as linoleum, sealed stone and ceramic tiles, this cleaner does not require rinsing with water when finished. Ingredients: Purified water, ethanol (derived from corn), 100% natural anionic coconut kernel oil-based surfactant, vinegar and lemon essential oil. water, denatured alcohol, potassium sorbate, < 5% non-ionic surfactants, acetic acid, gluconic acid and perfume. Have a damp mop or cloth at the ready and spray Floor Cleaner directly onto the floor to be cleaned, then wipe over with your mop or cloth. Rinse and refresh the mop or cloth as needed. It makes really quick work of cleaning the whole floor area, great if you are in a rush. 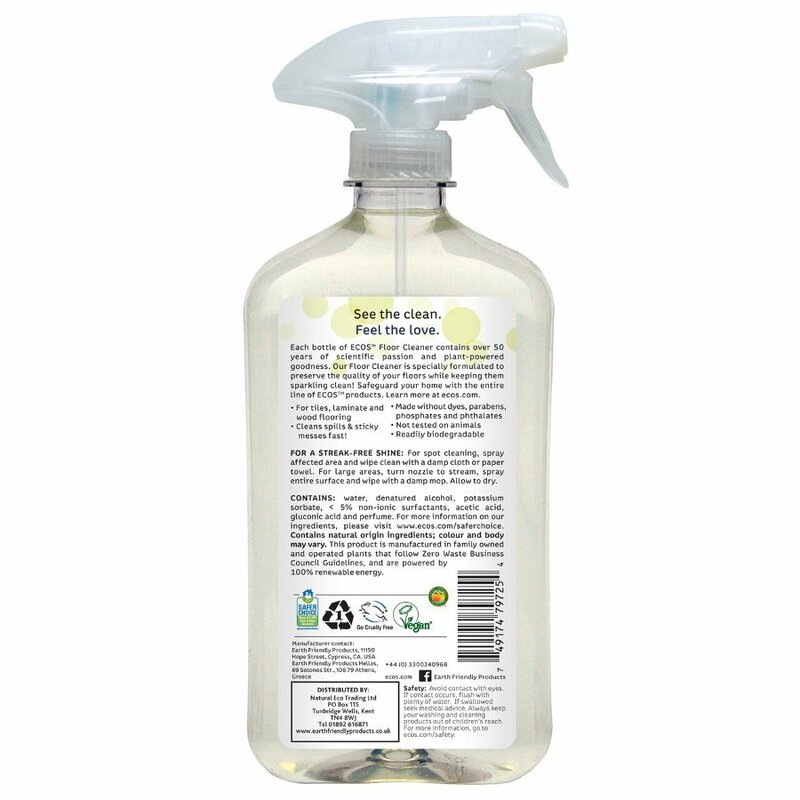 It is the perfect product for for spot-cleaning spills and marks on the floor too. Allow floor to dry and take care as wet floors can be slippery. 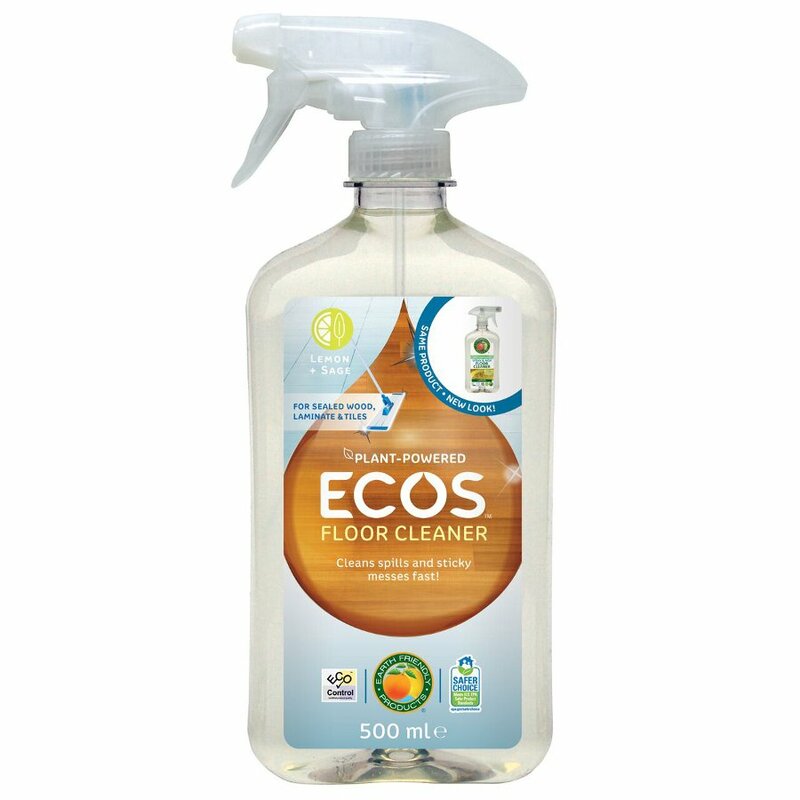 The ECOS Spray & Mop Floor Cleaner - 500ml product ethics are indicated below. To learn more about these product ethics and to see related products, follow the links below. Always use this. Love the smell. Cleans well and isn't sticky. Q: Is the product applied directly to the floor, or does it need to be diluted before use? A: Hi, there's no need to dilute this floor cleaner, simply spray it directly onto the floor and wipe away. You don't even have to rinse the product off when finished. Hope this helps. Robyn.